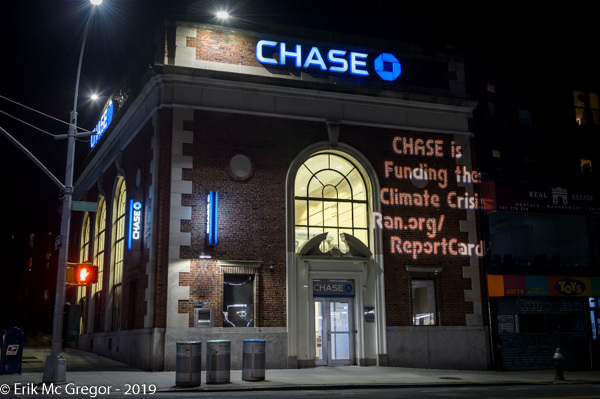 On the morning of the report release, local climate activists took to the streets for a press conference at the site of the JP Morgan building on Wall St. to deliver the message to the press that JP Morgan Chase is the leading funder of fossil fuels contributing to global climate chaos. 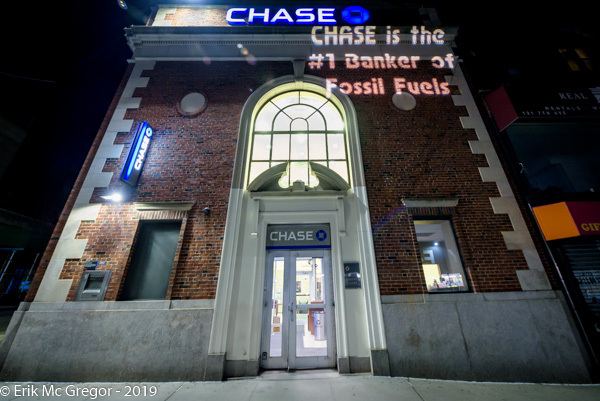 Pete Sikora from NY Communities for Change spoke about the local pipeline fight against the Williams NESE Pipeline, that is part-funded by JP Morgan Chase, and Tom Ross, a local organizer with Sane Energy Project, and former investor with JP Morgan Chase gave sage advice to Jamie Dimon, CEO of JP Morgan Chase, and the public at large on how to move our money to a green energy fund called Green Century. 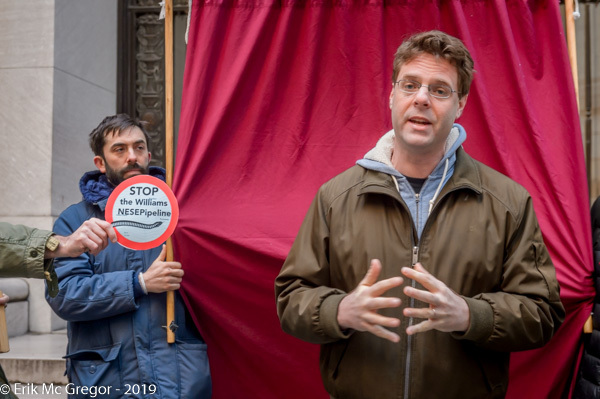 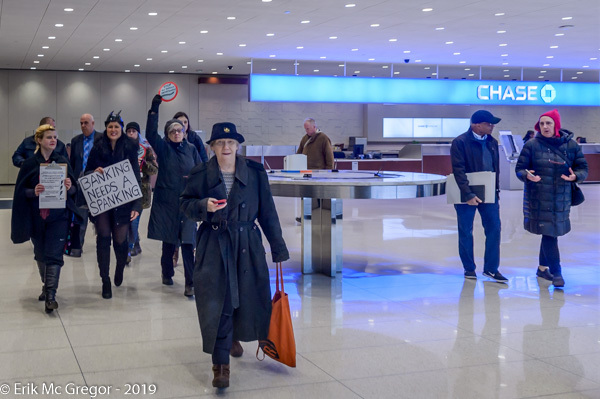 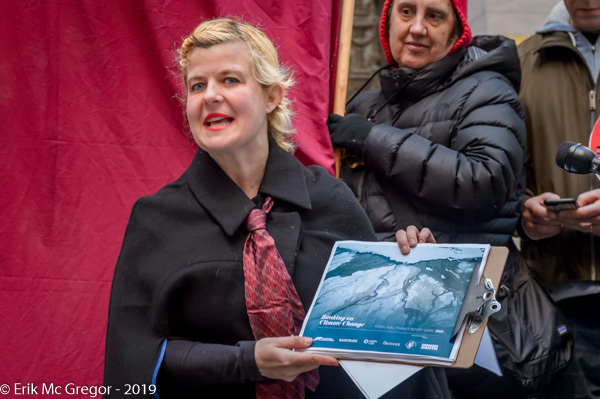 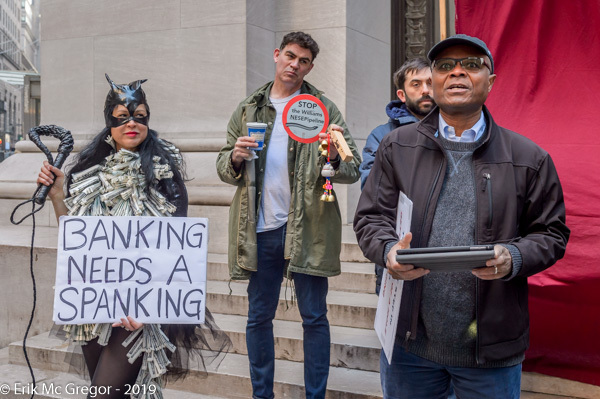 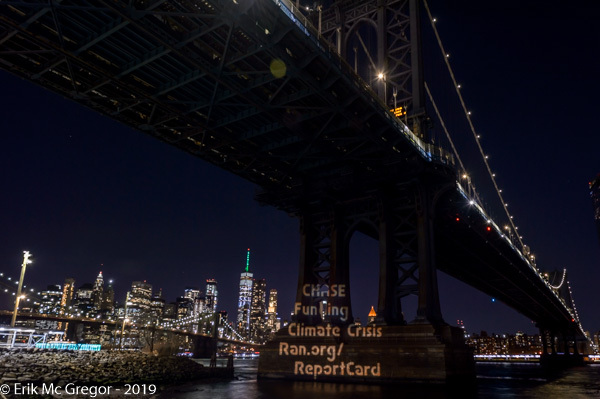 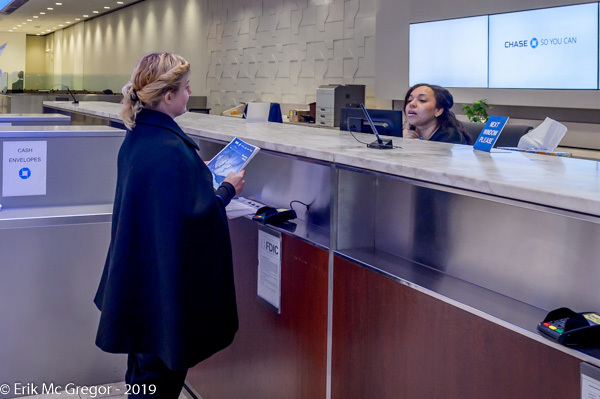 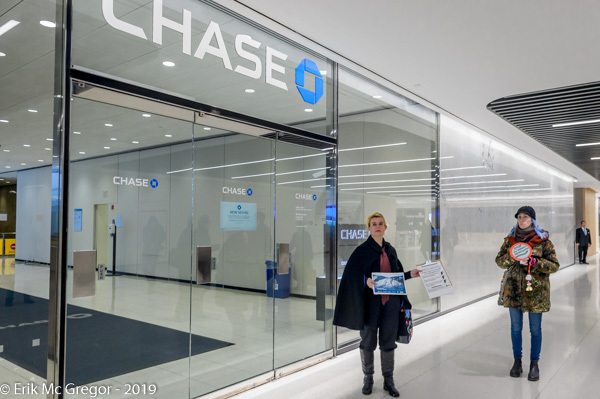 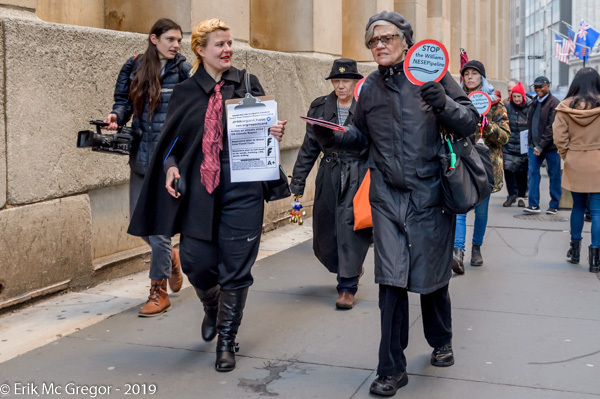 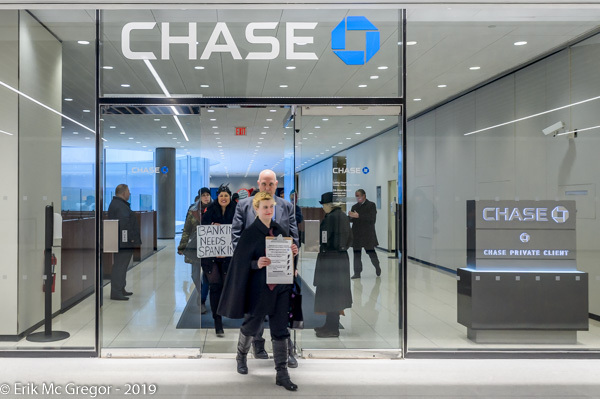 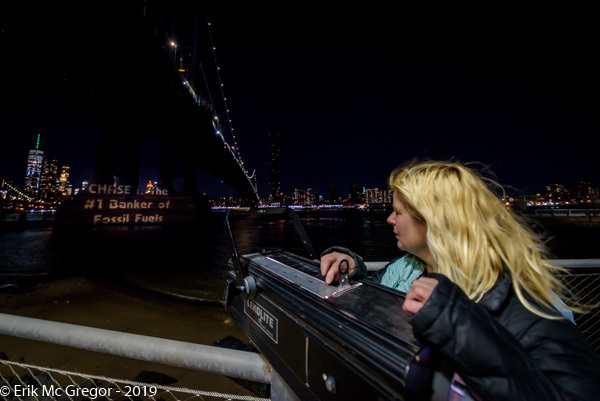 Following the press conference, Kim Fraczek, director of Sane Energy Project, led the group to the headquarters of JP Morgan Chase on Liberty St. and successfully hand-delivered the the Fossil Fuel Finance Report Card 2019. 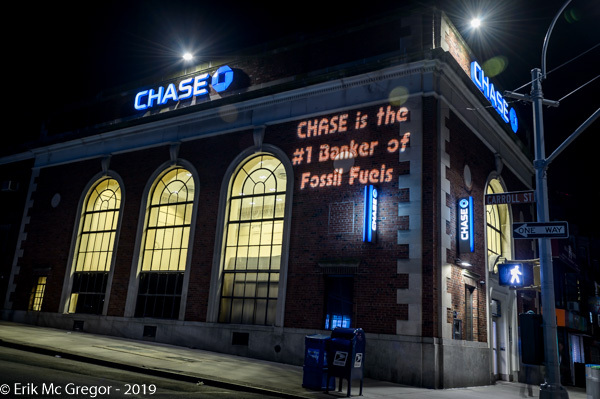 The report released today by Rainforest Action Network, BankTrack, Indigenous Environmental Network, Oil Change International, Sierra Club, and Honor the Earth, and endorsed by over 160 organizations around the world, reveals that 33 global banks have provided $1.9 trillion to fossil fuel companies since the adoption of the Paris climate accord at the end of 2015. 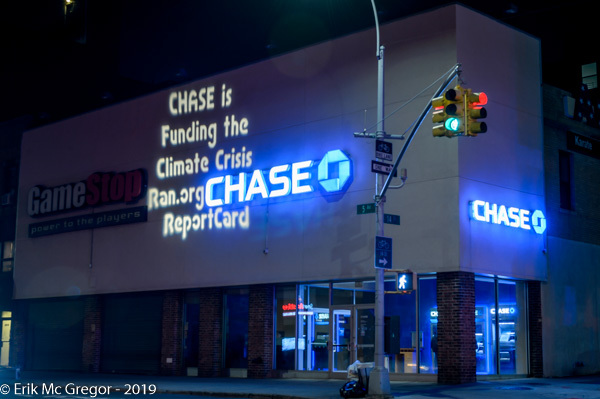 The amount of financing has risen in each of the past two years.